To fully enjoy Lisbons’ spectacular views (if you love it as much as we do, it’s a MUST! 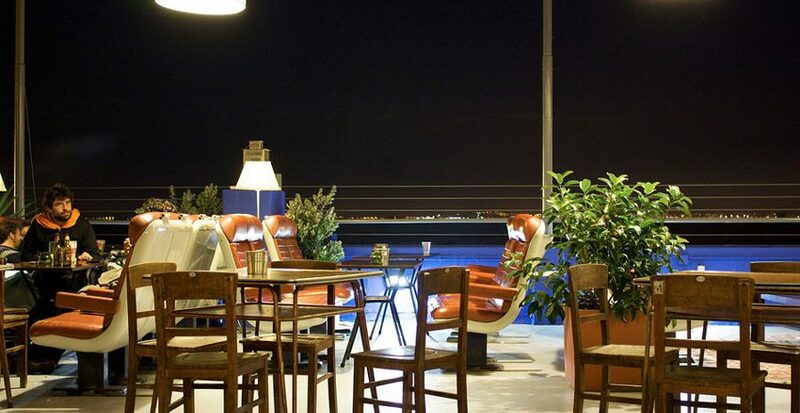 ), we strongly recommend that you check osut the bars with the best view in town. 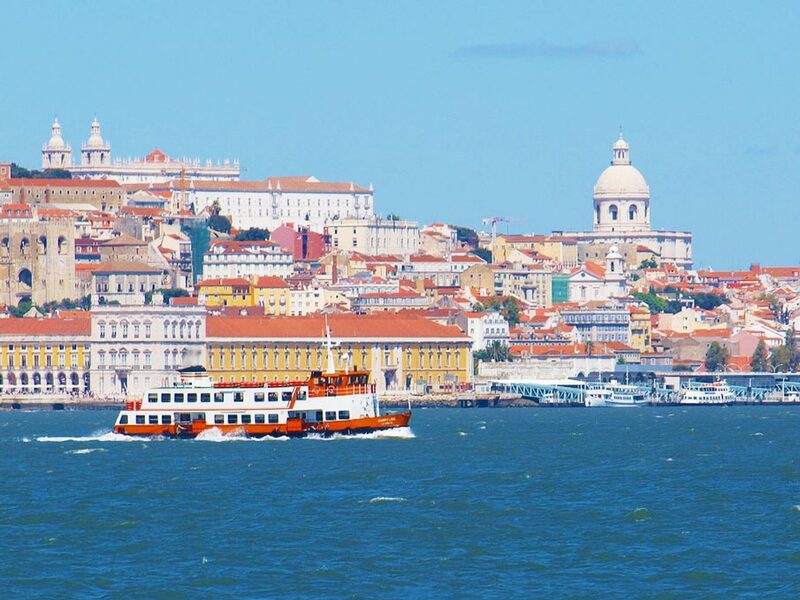 Not to be missed as well a cruise on the Tejo river which will for sure be a unique experience. Sunset is normally the best hour for any of the suggestions below, as are full moon nights. 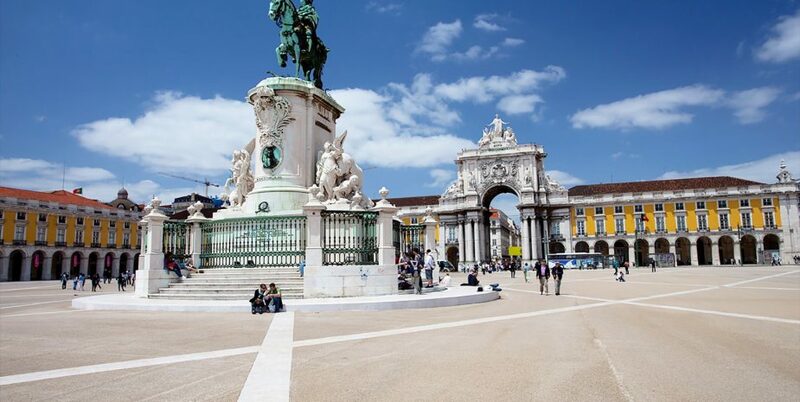 Also known as the Terreiro do Paço, the Praça do Comércio is one of the most majestic squares not only of Lisbon but of the world with about 36.000m² (180m x 200m). 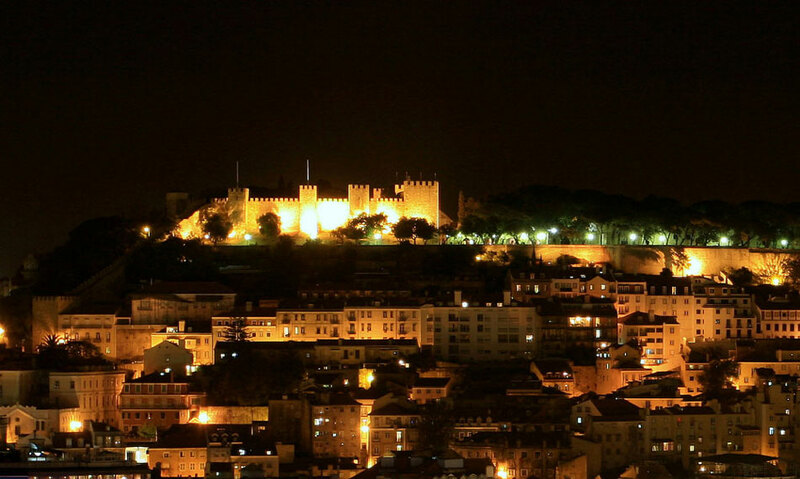 The fact that it’s situated in front of the Tagus is its element of originality in relation to most European squares. Classified as a National Monument, the Plaza consists of arcades with medieval decorations, and flows into an old pier, recently restored, where you can enjoy the most amazing views of the city – either heading towards inland or the river and the south bank. The top of the Arch of Rua Augusta also offers a remarkable panoramic view over Lisbon, and can be visited along with the hall vaults housing the existing machinery of the clock there. This way, visitors can have a full perception of one of the most emblematic squares of the city from different points of view. 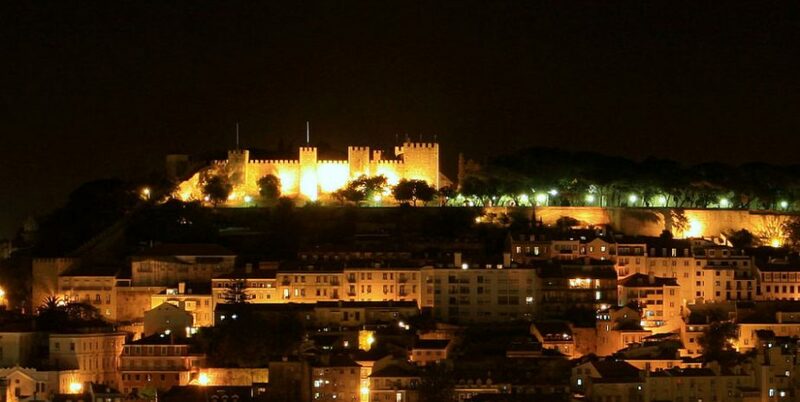 Declared a National Monument in 1910, the São Jorge Castle stands on the highest hill of Lisbon and was from very early stages a privileged space to gaze over the city in its splendor. 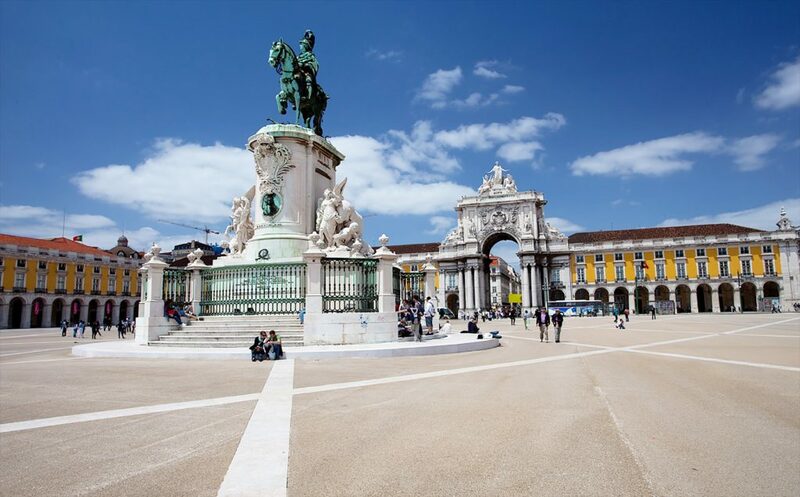 The monument offers visitors several gardens and viewpoints that can be a good starting point for a deeper knowledge of the city of Lisbon. 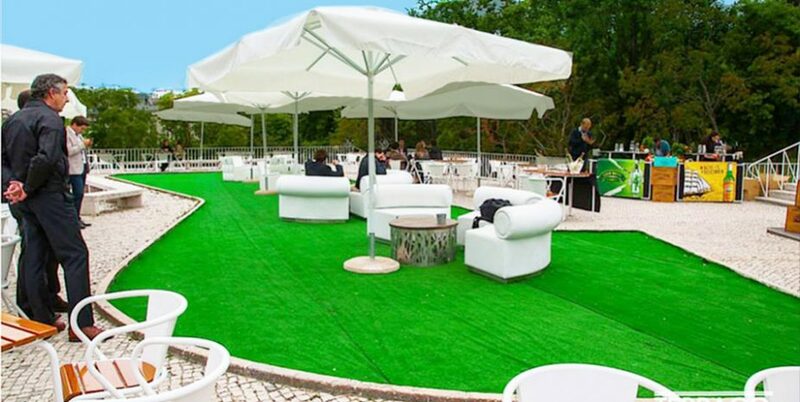 The Clube Ferroviário (the “railway club”) has transformed the outskirts of Santa Apolonia Train Station in an authentic “platform” ” for the comings and goings of party and culture-minded people. The range of offerings at this club is impressive, from theme parties, to outdoor cinema, concerts, DJ sets, exhibitions, performances and other cultural activities are always available for visitors. 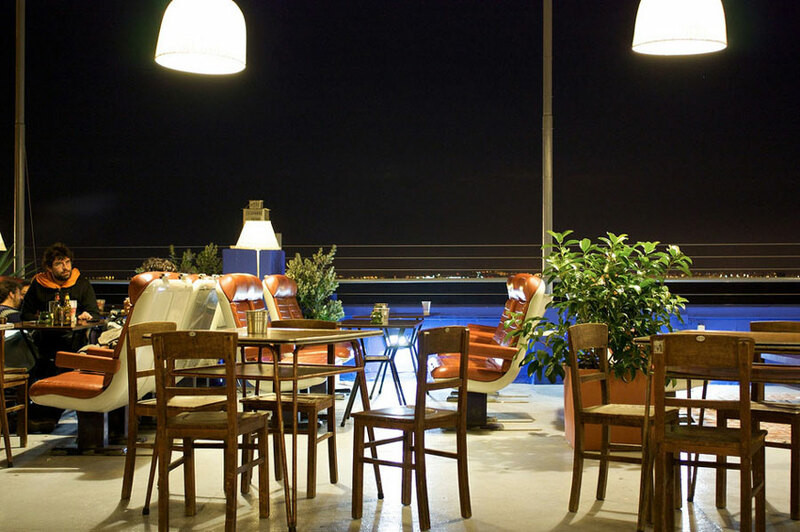 Divided into two floors, the club has two bars, two lounges for shows – called the TGV and the Railway – but the real attraction is the terrace upstairs with its stunning view over the Tagus and old train benches. 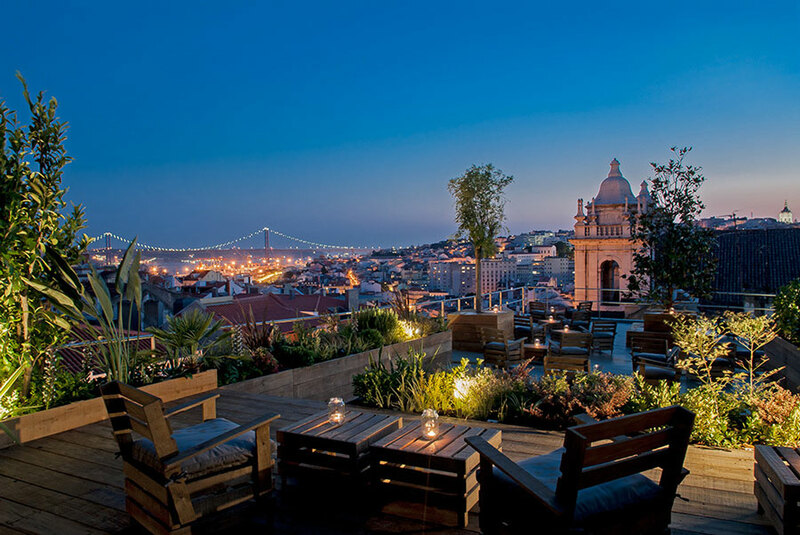 Located in the historic center of Lisbon, between Largo do Caldas and Castelo de S. Jorge, the Zambeze Restaurant offers a superb view over downtown Lisbon and the Tagus. 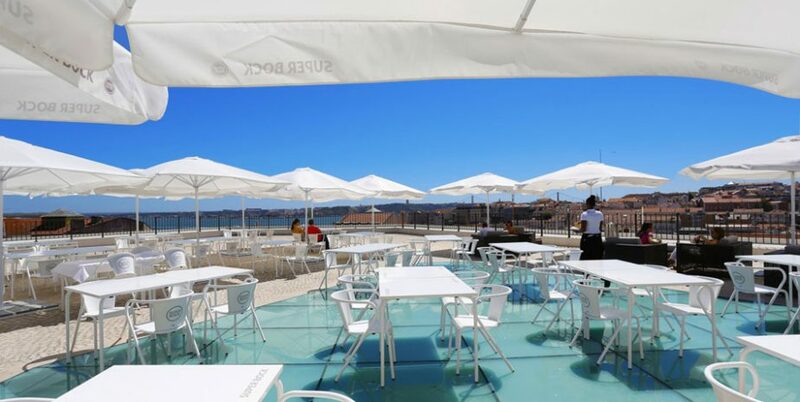 Housed on the top floor of the old Market Chão do Loureiro building, now restored and transformed into a modern multifunctional Parking, the Zambeze recovers the best culinary tradition of a Portuguese northern region (Beiras) recreated in its presentation, and an amazing fusion with African flavors. The décor boasts many iconic elements of Portuguese culture, including Bordallo Pinheiro stoneware art pieces inside, two panels of tiles by the artist Paul Ossião on the outside. 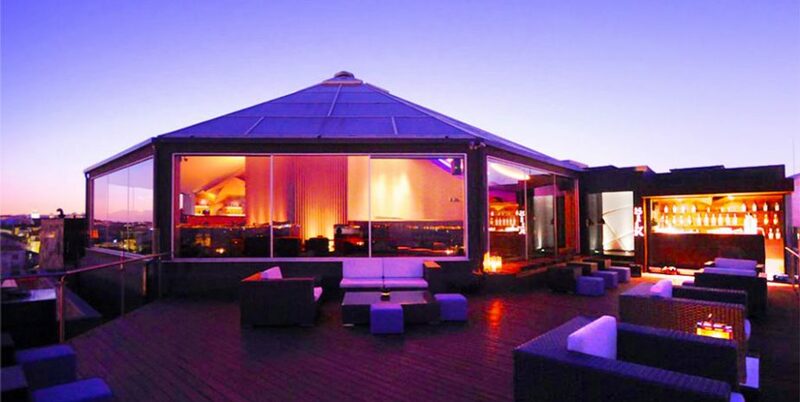 The restaurant is complemented by a terrace of 300 m2. The ideal choice for a late afternoon meal appreciating the splendid views, in a cosmopolitan, modern and relaxed environment. 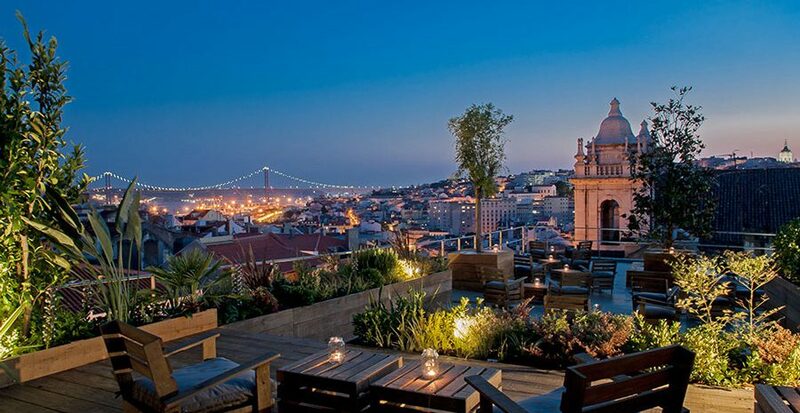 At the top of the car parking building at Calçada do Combro, right by Bairro Alto, Park Bar is an esplanade bar full of attitude and also altitude! The terrace of the parking building, with approximately 500m2, opened its doors in July 2013 with a suspended garden ready to welcome anyone willing to enjoy the city view in a relaxed environment. 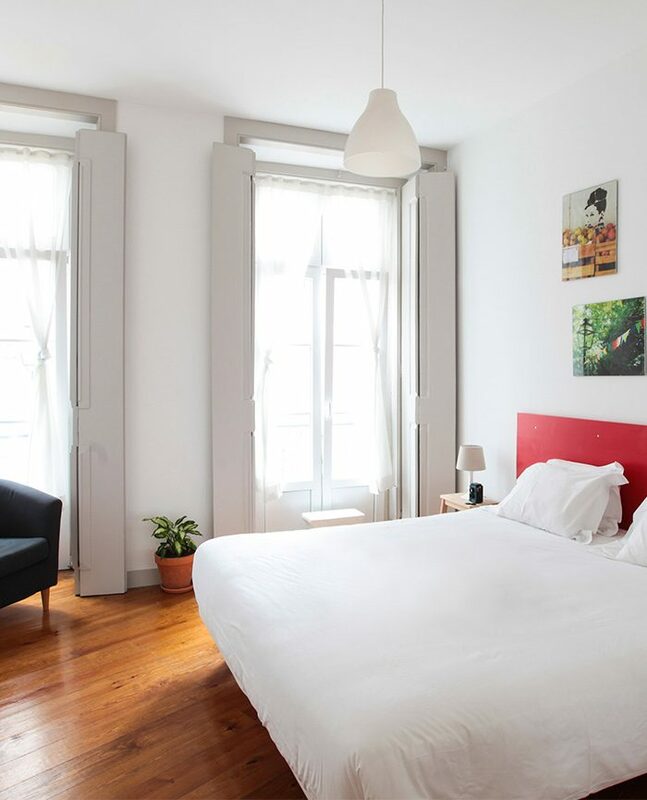 In the heart of Chiado, offering its guests an excellent panoramic view of the city from the top of a building that sits on the former Fernandine Wall of the Portuguese capital. Ocupando os andares superiores do edifício do Espaço Chiado, permite-nos apreciar os inúmeros monumentos e as águas do Tejo, desde o Castelo de São Jorge até à zona de Belém. Silk is a very coveted area of the capital, both to relax in daylight as at night. The experience is exclusive to club members or guests. 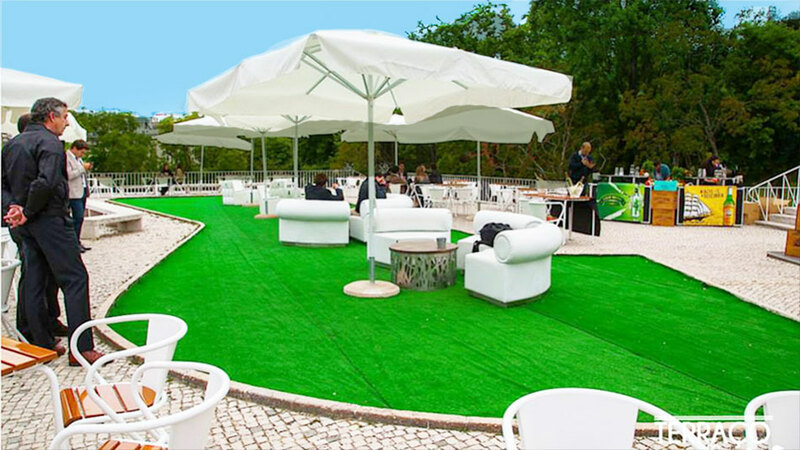 The Terrace of the Marquês makes its purpose clear in its name: to offer a moment of relaxation on a terrace overlooking the city, more exactly the Marquês de Pombal statue and Eduardo VII Park. 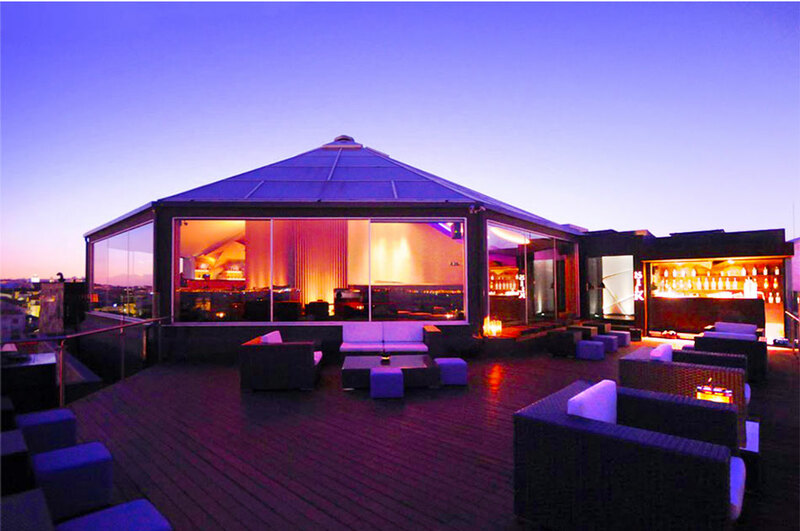 Opened in late May 2014, the terrace is intended to be a cosmopolitan space, available to receive guests with sunset parties, football matches or even theme parties and DJs. Opening hours: Monday to saturday from noon till midnight (closed on sunday). It’s one of the most interesting and unknown green spaces in the city. It’s a nineteenth century romantic garden that has a large number of flowers and quiet corners. With a privileged view over the Avenida da Liberdade and its western slope, where the Miradouro de S. Pedro de Alcantara stands, also covers an interesting view of the Baixa and the Tagus River. Apart from some statuary, the Garden has benches and loungers for people to rest and enjoy the landscape and the quietness of the place. 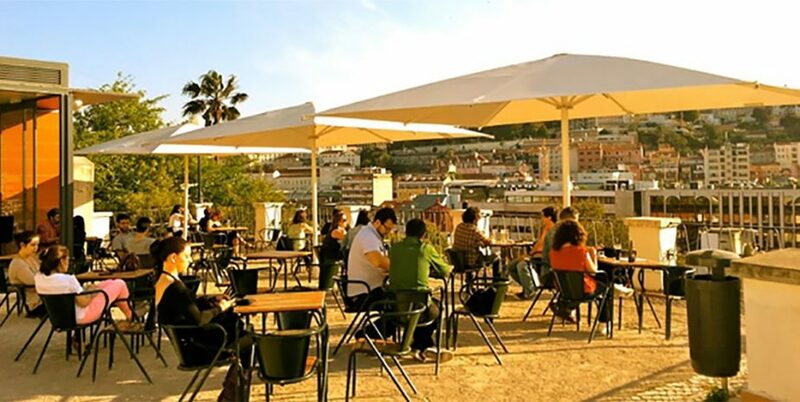 Since January 2010 it has a kiosk with a terrace, serving wine, snacks, light meals and a bar service. 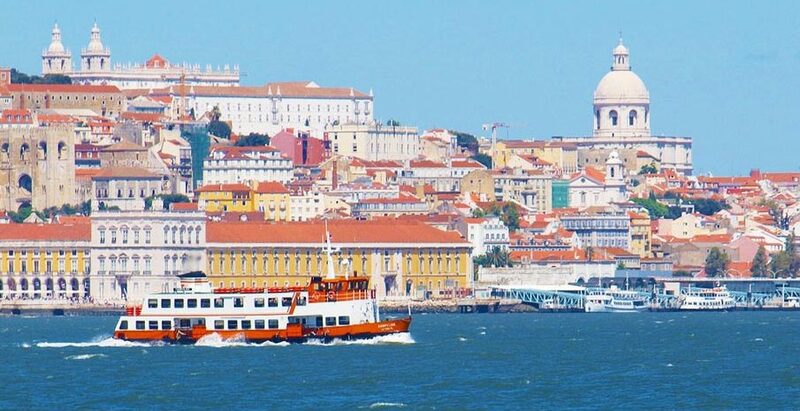 Discover the beauty of Lisbon from a different point of view – from the Tagus River! On a typical, comfortable boat currently used as transportation means for many inhabitants of the south margin of the city. 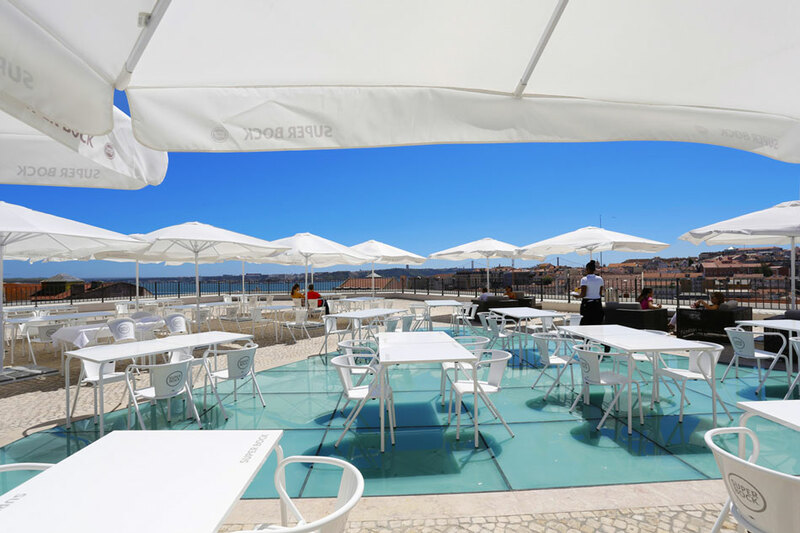 You can also get a view of the Belém district, see the Monument of the Discoveries, which commemorates Portugal´s important role in the discovery of the Americas, and the UNESCO World Heritage Sites of Jerónimos Monastery and Belém Tower. Enjoy plenty of photo opportunities!